There is a role for marketers in almost every sector of the modern economy, including consumer goods companies; consumer services and retail organisations; industrial companies; strategic consultancy; banking, insurance and professional services and travel, tourism, sport and entertainment. UNSW Marketing graduates have a consistently excellent employment record and you'll find many amongst the leaders of industry in Australia and overseas. The course is designed to challenge and stretch you intellectually in a way that is rewarding, stimulating and exciting. Importantly, it also aims to equip you for the job market, both immediately after graduation and in the longer term, by developing knowledge and a skill-set that allow you to adapt and be flexible in your future career. Offered under NEW four year B.Com (CO-OP)*. * The new 4 year degree program has a stand-alone UAC CODE 424600. Students applying for Co-op will need to list this code in their preferences. 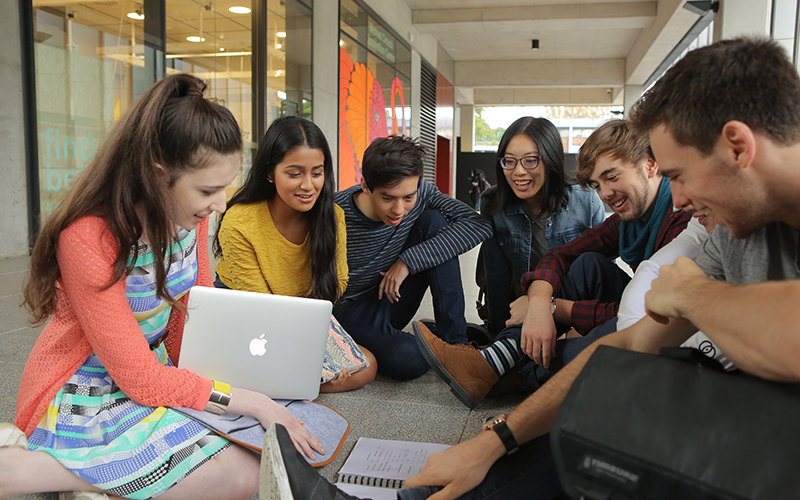 If students want to come to UNSW to do Business even if they are unsuccessful in gaining a Co-op scholarship, they will also need to list the standard B.Com UAC CODE 424000, in their preference list. Marketing is essential to every business in today's highly competitive marketplace. Marketing is a dynamic function aimed at creating personality, differentiation and competitive advantage for a company. The marketer' role is to identify and understand the needs and wants of consumers; determine which sections of a market the business will target; design appropriate products, services and programs; develop communication (e.g. advertising/PR) to promote and publicise the goods and/or services of a business and determine the most effective way to deliver the offerings. In today's world however, where a company's image and reputation are so vital to its success and sustainability, marketing is often responsible for defining and protecting the 'corporate brand image'. The goal of every business is to create customer satisfaction profitably by building valued relationships with customers, clients, suppliers, distributors, shareholders and the community at large. This is about shaping attitudes and behaviour across every area of a company and underscores the fact that the principles of marketing have a central role to play within our society and in all contemporary businesses. The School of Marketing focuses on teaching knowledge and skills that will prove invaluable for a career, whatever the organisational setting or geographical context. Have sound analytical skills, as marketing decision-making needs to be informed by careful and perceptive analysis. When would I be on Industry Training (IT)? The Co-op program provides a hugely valuable opportunity to develop personal and professional experience early on in your career. I want to finish university with more than just a degree and what differentiates Co-op from other cadetships and internships was the balance it offers between industry placements and experiencing university life. The Co-op Program has been one of the most fruitful journeys in my life. In hindsight, the experience and skills I've gained have absolutely dwarfed the financial benefit that lured me at the outset. I applied for the Co-op Program because it was everything I wanted my university experience to include; professional experience, social networks and an opportunity to connect with like-minded students! 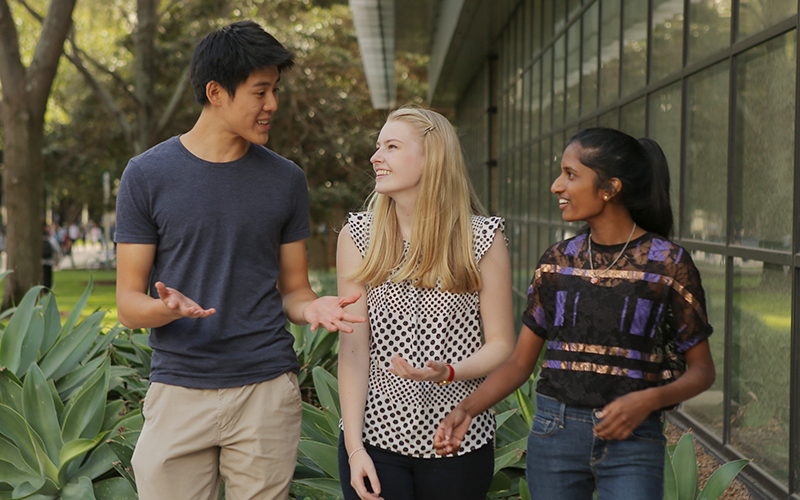 Why do you sponsor the UNSW Co-op Program? To support and nurture young talent and to inject a fresh perspective into our brand. It's been really rewarding being able to help coach new scholars and share my own past experiences in the hopes of making their journey a little easier and more fruitful. Both the work placements with world class sponsors and the ability to meet and interact with like minded students, ensured that my university experience would be enriched. Being a Co-op scholar has allowed me to develop myself professionally and personally whilst at university by opening many doors; from meeting new people to exposure to pursuing incredible professional opportunities.